Somewhere deep within an enchanted forest there is a magnificent and special tree. Those who stop to admire it soon feel the need to take a nap. Once asleep, the maiden imagines herself to be drifting amongst the clouds. Her mind is filled with dreams of a bygone age. 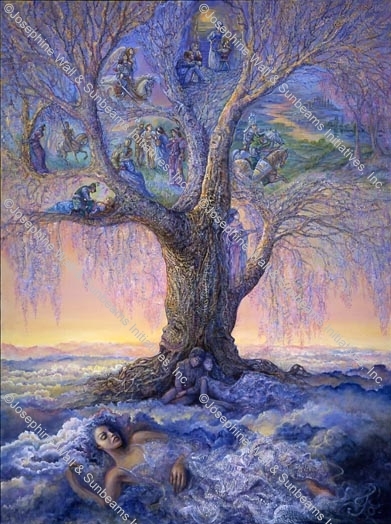 Are these dreams of events she has experienced in another life, or are they perhaps visions trapped within the branches, collected by the tree over many centuries?